Very, very happy with this amazing American podcast that Baruch Zeichner made so skillfully. 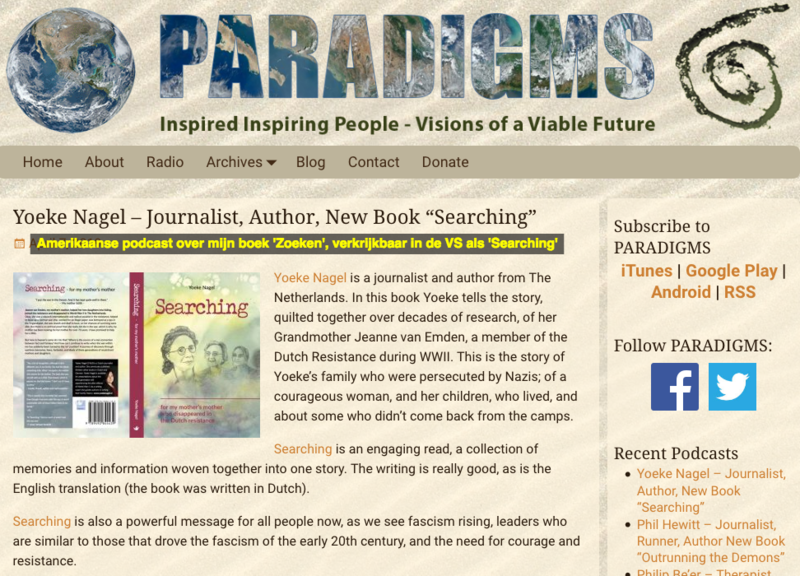 He interviewed me about Searching, about the impact of growing up in a post-war family. 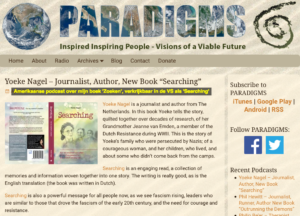 We turn out to have some common issues that I write about in Searching as well: the encrypted command within our DNA that we should be the ones to stop war. Worldwide. Quite a job. How can we do that job? All the answers in this podcast. Please listen to it and enjoy the wonderful music too that Baruch picked to illustrate our conversation about war, fighting for humanity, the right to have fun and the secret of being a you-know-what. You can order Searching here. We will ship from the US. Click link below to listen to Paradigms.